The staff of the Committee on Open Government is authorized to issue advisory opinions. authorized to provide advice concerning the Freedom of Information Law. no substantive response as of the date of your letter to the Governor. regard, I offer the following comments. describe" the records sought as required by the Freedom of Information Law [see §89(3)]. indictment, index or docket numbers) to enable agency staff to locate and identify the records. documents sought" [Konigsberg v. Coughlin, 68 NY 2d 245, 249 (1986)]. the agency'])" (id. at 250). to locate the records on the basis of an inmate's name and identification number. Information Law is based upon a presumption of access. Stated differently, all records of an agency are available, except to the extent that records or portions thereof fall within one or more grounds for denial appearing in §87(2)(a) through (i) of the Law. Several of the grounds for denial might be relevant in determining rights of access. §87(2)(a) of the Freedom of Information Law. If there was a conviction, much of the information sought would likely be accessible. be available, even if one or more of the grounds would otherwise apply [see Moore v.
except routine techniques and procedures." 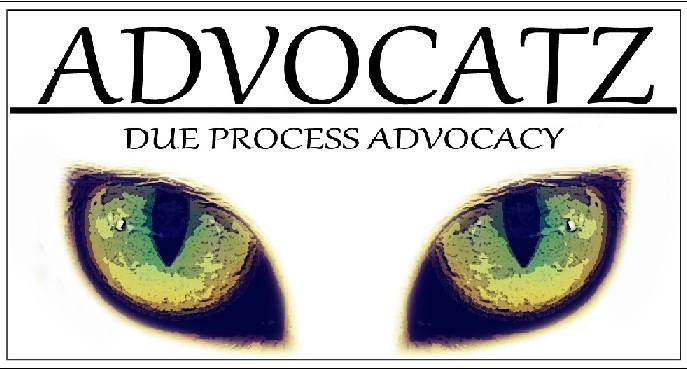 provisions cited above would be largely dependent on the effects of disclosure. have found that, as a general rule, records that are relevant to the performance of the official duties of a public officer or employee are available, for disclosure in such instances would result in a permissible rather than an unwarranted invasion of personal privacy [see e.g.,Farrell v. Village Board of Trustees, 372 NYS 2d 905 (1975); Gannett Co. v. County of Monroe, 59 AD 2d 309 (1977), aff'd 45 NY 2d 954 (1978); Sinicropi v. County of Nassau,76 AD 2d 838 (1980); Geneva Printing Co. and Donald C. Hadley v. Village of Lyons, Sup. request will be granted or denied..."
access to the record sought." Dennis Walcott who ran America’s largest school system for three years is to spend the next 12 months helping to boost education in the Caribbean and link the region’s premiere tertiary level school to New York. Six weeks after stepping down as the head of New York City’s Department of Education is doing something he often dreamed of accomplishing: living in the Caribbean and relating to University professors, administrators and students. He has been made an honorary distinguished fellow of the University of the West Indies, the same accolade recently given to Bruce Golding, a former Prime Minister of Jamaica. For almost three years ending on December 31st, when Michael Bloomberg’s three terms as mayor finally came to an end, Walcott, 62, was responsible for the education of 1.1 million students who attended 1,800 public schools in the five boroughs of Manhattan, Brooklyn, the Bronx, Queens and Staten Island. 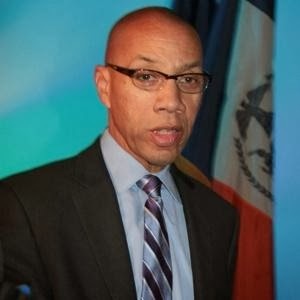 Walcott who was born and raised in Queens, became Chancellor in early April 2011 when Cathie Black, a prominent national magazine executive with little or no experience in public school education, was appointed by Bloomberg to the Chancellor’s position. However, she immediately became embroiled in a succession of controversial issues that raised serious questions about her suitability for the job. She was subsequently forced out after only three months in office and Walcott, at the time Deputy Mayor for education, stepped into the position which pays more than $ 212,000 annually and is considered one of the toughest positions in the country. In essence, he was the equivalent of a Minister of Education in a Caribbean country. He managed abudget of $ 24 billion, enough to run most Caricom countries. Walcott is expected to be deeply involved in UWI efforts to establish relationships with U.S. tertiary level and other institutions, including the State University of New York, SUNY and its vast network of senior and community college campuses scattered across the state. SUNY has a student enrolment of 462,000 students, 20 per cent of whom are Black and Hispanic. Its board of trustees is headed by Carl McCall, a former New York State Comptroller, who once ran for Governor. Walcott, a soft-spoken public official, said his stay in Barbados would “give me chance to learn something” about the region’s educational system but he will stay away from any of its controversial issues. “In due course, I will get to know about the system there,” was all he would say. Interestingly, Joel Klein, Mayor Bloomberg’s first Education Chancellor whose resignation led to Black’s ill-fated appointment and Walcott subsequent elevation to the position, often praised the approach of some Caribbean countries to the education of their public school students. Klein, a former Assistant U.S. Attorney-General during President Bill Clinton’s two terms, once told the Carib News that he would have been happy if New York City’s elementary students were reading at the level of Barbados’ students. During Walcott’s tenure as Chancellor, he made a point of visiting schools across the City, going to more than 1,000 of them, usually meeting children and teachers in the classroom and the cafeteria to find out what was being served to the students. He had placed student health high on his list of priorities. When asked just before leaving office about his major accomplishments, Walcott, who has four children and two grandchildren listed the introduction of a teacher evaluation program, getting the public schools up and running shortly after the disaster Hurricane Sandy left behind. It had forced the closure of the entire system for days. He also cited the opening of the school bus system for competitive bidding in the wake of a strike by drivers which had closed it for weeks. The Chancellor’s position was the “best job in the world,” he said. More than 75,000 teachers work in the City’s school system.